In a recent study, patients tell researchers what works for migraines, comparing prescription migraine drugs with natural, alternative vitamins and lifestyle changes. The results may surprise you. Migraines are a neurological illness that inflicts sufferers with frequent crippling headaches, nausea, stomach cramps, vertigo, and all-over body pain. Doctors have been working on a “cure” for years, but it seems that some of the most effective treatments that help don’t require a prescription at all. Disclaimer: Please don’t ever consider stopping your current migraine medication or starting a new one without your doctor’s consent. This does not constitute medical advice, but rather a general awareness of what researchers have discovered when interviewing patients of chronic migraine attacks. Eighty percent choose natural therapy. Results are based on a survey by Cure Together that is available online. Of the top ten best-rated treatments for migraine headaches, only two are migraine prescription medications; that’s an 80% success rate for natural preventative medicine and migraine trigger avoidance. 1. Sitting in a dark, quiet room. 6. Avoiding smoke or quitting smoking. 7. Wearing sunglasses, even indoors. 10. Pressing an ice pack or cool towel on head or neck. Interestingly enough, some of the most effective treatments for migraine headaches are also the least practiced. According to the infographic on Cure Together, the most oft-prescribed migraine drugs are rated by patients as the least helpful in relieving migraines. 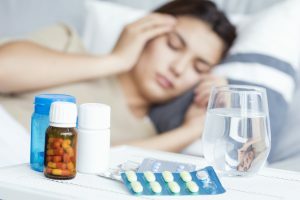 Conversely, natural migraine strategies that work, such as lifestyle changes and nutrients such as butterbur, riboflavin, CoQ10, and magnesium seem to be the least prescribed and the bottom of the go-to list for migraine prevention. Is it any wonder, then, that so many people continue to suffer from excruciating migraine attacks? Out of all the treatments rated in this survey, the one that got the best response- lying down in a quiet room- garnered 893 points. Using that number as a guideline, you can see that vitamin supplements for migraines get a huge thumbs-up for simple effectiveness without side effects. Hint: Migravent has all of the top-rated ingredients! 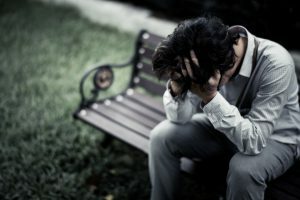 What treatment do you believe works for migraines better than anything else? Did you like this article? Please tweet, blog, or share this on Facebook with anybody who suffers from migraines or is otherwise involved with migraine awareness. Feel free to leave your comments below. While there is no 100% cure for migraines, a neurological illness, doctors agree on certain natural ingredients that help migraine headache sufferers reach their optimal level of nervous system functionality. 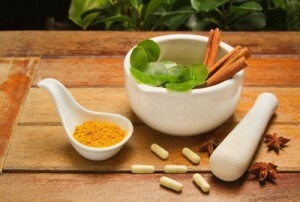 The following herbs, vitamins, and minerals have been the focus of the most studies, and are highly recommended by natural migraine treatment physicians. Please note that many natural supplements have powerful properties that can rival those of prescription medications. Please consult your doctor before taking any new treatment for migraine disorder. Here are some natural ingredients that are most often cited as beneficial for migraine headaches, nausea, stress, and other forms of chronic pain. Butterbur root extracts have been featured in numerous scientific studies on natural migraine prophylaxis. Scientists noted optimal results when migraine sufferers used 75mg of safe, natural butterbur supplements each day for at least three months. Test subjects who also suffered from severe asthma and muscle spasms reported good health after taking butterbur daily. Note: Read the label when purchasing butterbur capsules- only use extracts free of pyrrolizidine alkaloids (PA’s), which can have a toxic side effect. Look for “PA-free” on the label. Coenzyme Q10 is an antioxidant that aids migraine patients by supporting healthy blood flow to the brain, sustaining good circulation, regulating blood-sugar levels, and promoting normal cellular metabolism. Doctors recommend 60mg-100mg of coenzyme Q10 daily for best results. Practitioners of CAM (complementary alternative medicine) recommend taking 400mg of riboflavin each day for at least three months. Riboflavin helps to sustain ideal cellular metabolism, while also controlling the effect of oxidative damage that can occur with chronic migraines. Magnesium deficiency is a common trigger of chronic migraines, so experimenting with at least 200mg of magnesium each day is a good way to eliminate that as a cause of your migraines. Most patients do not need to exceed 1,000mg doses of magnesium, which is also naturally helpful for neurological functioning. 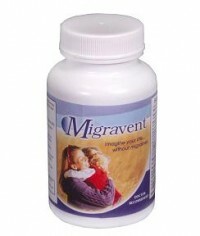 Some migraine patients suffer from magnesium deficiency, a common trigger of migraine attacks. Health experts recommend beginning with 200mg of magnesium per day, to be increased to 1,000mg if needed. 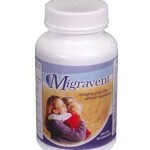 Magnesium helps to sustain health neurological functioning. 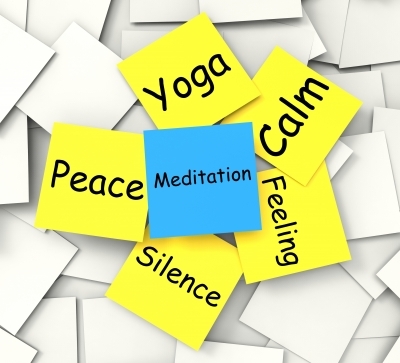 5-HTP is helpful for serotonin management. Doctors suggest 5-HTP as a natural ingredient for migraine headaches caused by vascular disorders resulting from low serotonin. Coffee can sometimes trigger migraines, but for many other migraine patients, a caffeinated drink can actually provide relief. Valerian is helpful for reducing stress that triggers migraine attacks. If your migraine attacks occur with gut-wrenching nausea and cramps, then try chewing on a raw peppermint leaf. Or, sip a cup of healing tea seeped with peppermint. Topical pain creams containing cayenne are helpful for neck stiffness, back pain, and sore joints that occur with migraine. Kava contains therapeutic phytochemicals that promote relaxation in the nerves and muscles. Can you add to our list? Can you recommend any other great natural ingredients that help migraine headaches? Please list below.